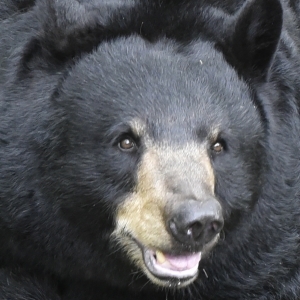 Black Bear naturally occur in Florida. Help FWC improve our knowledge of panther distribution in Florida and revise FWC's range map. Want to see the sightings or more photos? Drag the red marker to the approximate location and then zoom into the map to help pin-point the desired location. Alternatively, you can enter your lat/long in form below. Accepted lat/long format is dd.dddd or -dd.dddd. Complete the form with the sighting date, your name, and contact email. Optionally attach up to three images using the Plus button below the form. When finished click the Submit button. Disclaimer: Florida has a very broad public records law and any information you submit will become part of this record. If you do not want your information released in response to a public records request, do not send email or submit inquiries to FWC using this application.